On the four-hour chart Tenkan-sen line has crossed Kijun-sen from above under the cloud, indicating new wave of the downward movement. Chinkou Span line is approaching the price chart from below once again; current cloud is descending. The pair wasn’t able to reach the cloud and went down, however it is rising back to the Tenkan-sen line. Kijun-sen line is the closest resistance level at 0.9065. The pair will meet a support at the level of 0.9030 (previous low of Chinkou Span line). Let’s look at the daily chart. Tenkan-sen line has crossed Kijun-sen from above within the cloud, giving a weak signal to sell. Chinkou Span line is approaching the price chart from above; current cloud is ascending. 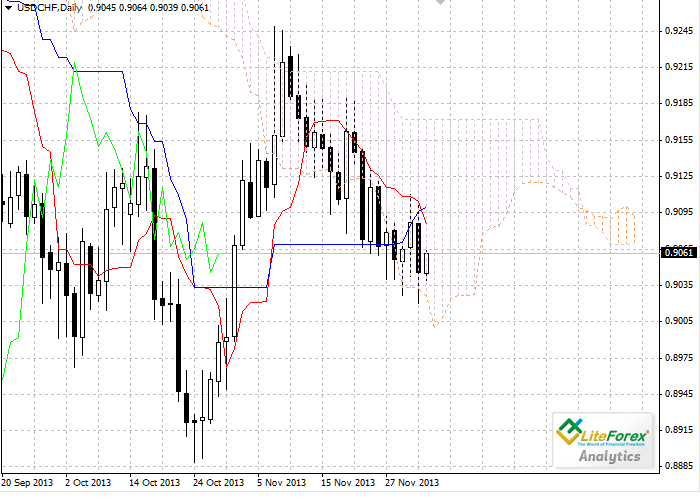 The pair is still trading within the cloud; its lower border is a support level at 0.9062. 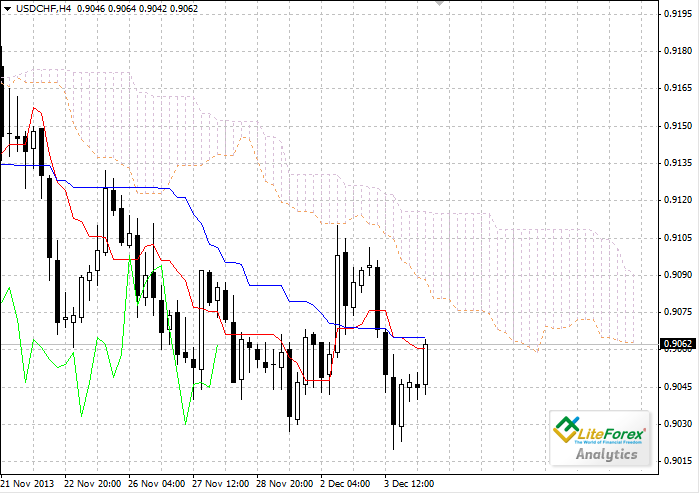 The closest resistance level is Tenkan-sen line at 0.9085. On the four-hour chart we’ve got a signal to sell from Tenkan-sen and Kijun-sen lines, the target for the short positions is 0.9030. On the daily chart the price is still within the cloud, pending sell orders can be placed below the lower border of the cloud (0.9026).